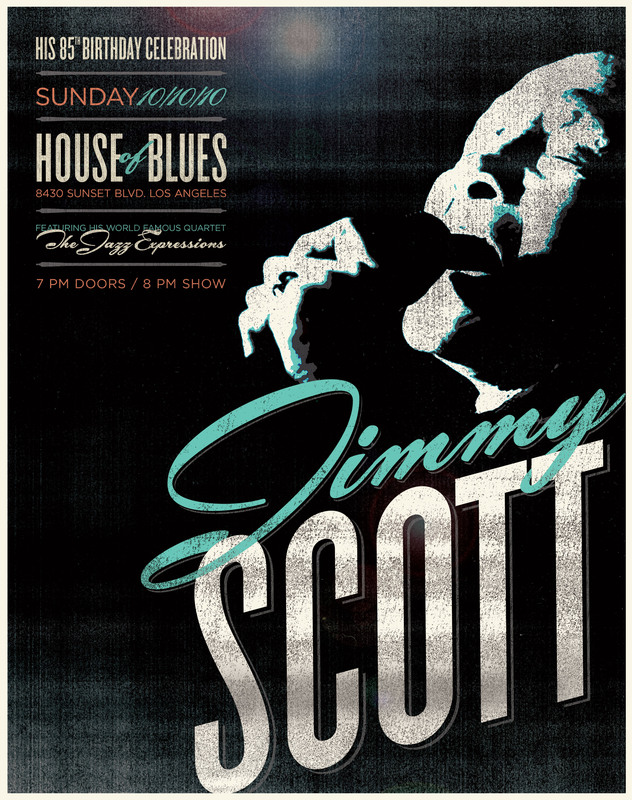 Legendary jazz singer Jimmy Scott decided to do an intimate club show at House of Blues in celebration of his 85th birthday. Since Scott first rose to fame in the late 1940's, I aimed for something reminiscent of a jazz club gig poster from the era. The posters were printed in limited edition, signed by Scott himself and given to members of the small, exclusive audience.